Positively Impact Lives Outside Your Community. 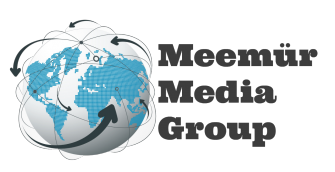 Meemür Media Group (MMG) is passionate about helping fitness professionals expand their influence and businesses beyond the confines of their local community. For the first time in history, health, wellness, and fitness coaches can make a positive impact and earn income from anywhere in the world. MMG's marketing strategies take it a step further through the deep understanding of the on-the-go job demands, and the psychology of fitness professionals. We know you would rather be coaching clients than sitting in front of a keyboard trying to navigate technical projects such as website development, app development, affiliate programming, eBook publishing, membership site setup, and mapping out your social media strategy. Let us take care of the html code, increasing conversion rates, designing landing pages, email marketing, and search engine optimization (SEO) so you can get back to doing what you do best. Getting paid to change lives. Connecting Fitness Professionals To Clients Across The Globe. Copyright © 2016 Meemür Media Group. All Rights Reserved.